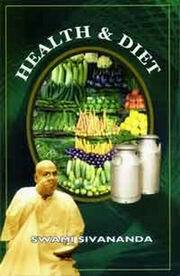 Swami Sivanandaji was a doctor before he embraced the holy order of Sannyasa. Even before he began his medical career, he enthusiastically conducted a medical journal called “Ambrosia” in which he published regularly articles on health and hygiene, diet and healing. This volume from the pen of the sage doctor is of the greatest value, not only to the members of the medical profession, but to the layman as well who will gain immense knowledge from it, for enjoying good health and long life.